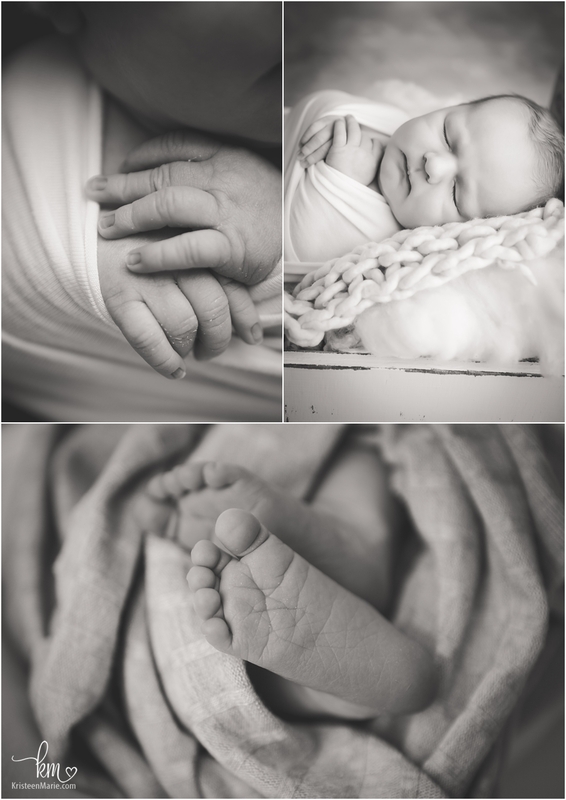 Sweet Zeke is here and I am so honored to be his newborn photographer! 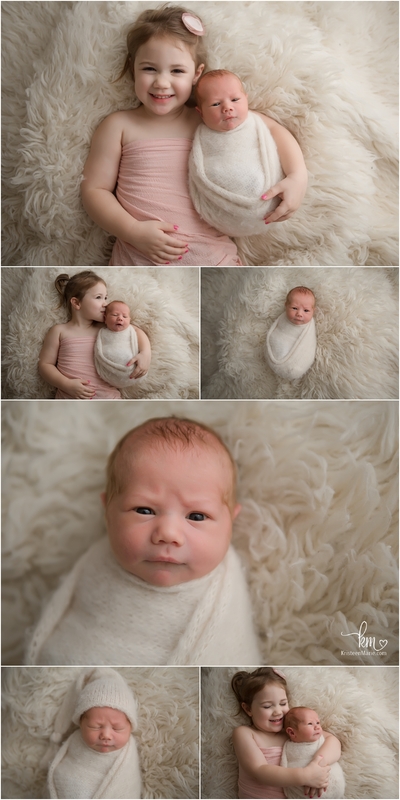 I also had the pleasure of photographing his big sister as a newborn as well. 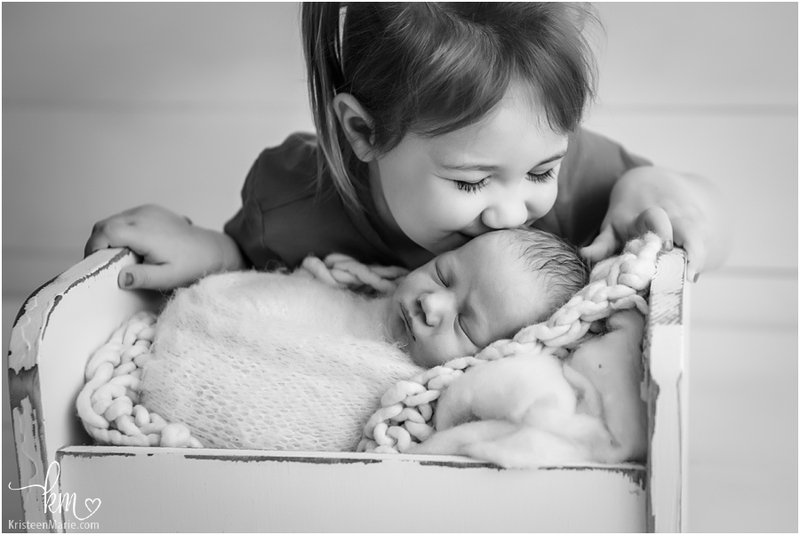 Little Zeke gave us some adorable smiles and his big sister was super loving with her baby brother. 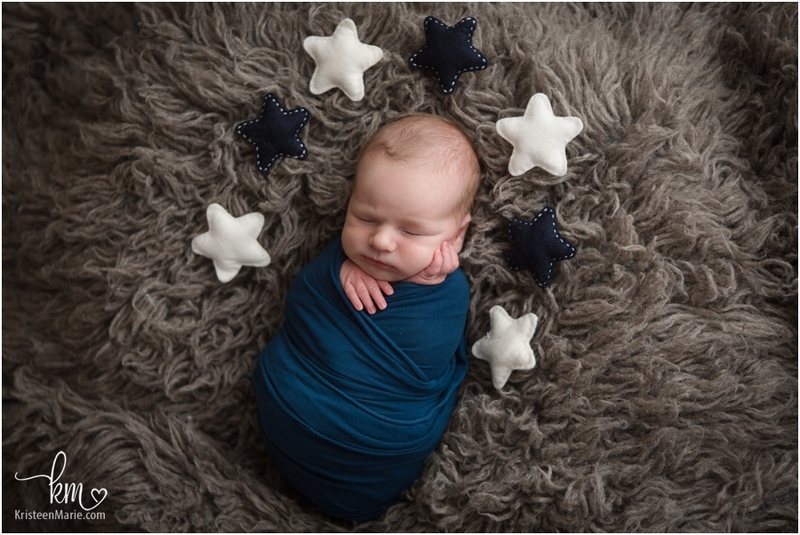 Zeke fought sleep at the beginning of his session, but he was super content and had great eye contact so I didn’t mind one bit! Zeke had the cutest patch of hair that was sometimes brown and sometimes strawberry blonde depending the the light. What a couple of cuties!!! I am so excited that I get to watch baby Zeke grow this next year. I love when clients take advantage of the grow with me sessions that I offer. 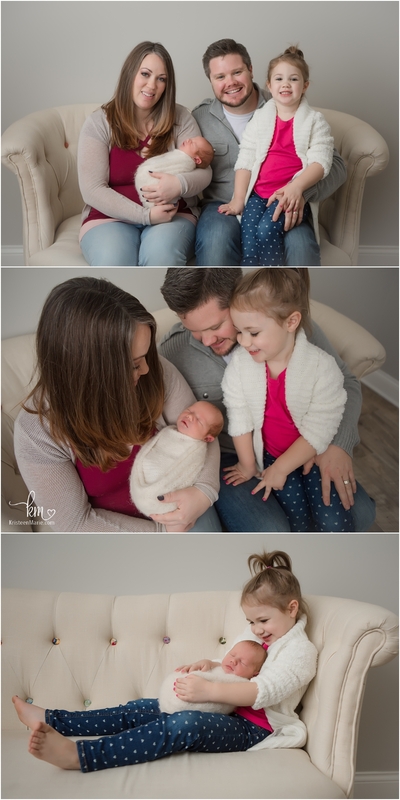 The family gets wonderful photos and I get to see the kiddos and the parents more often as well! 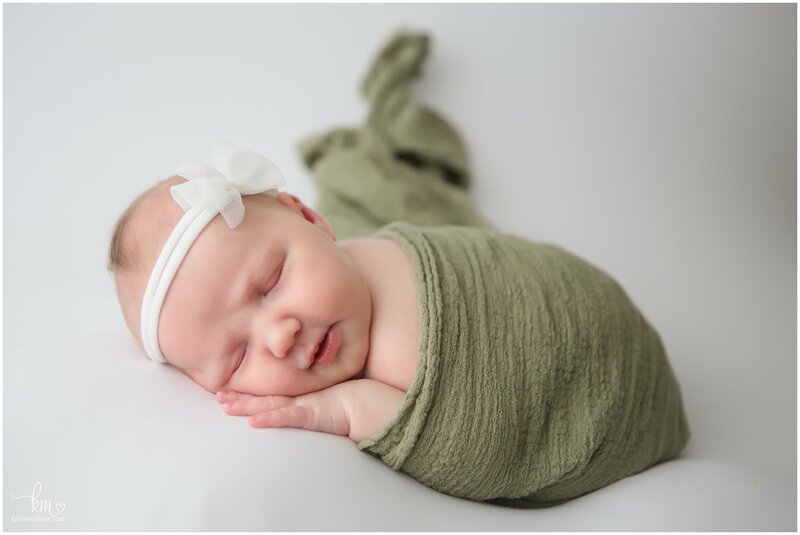 I love my job as a Zionsville newborn photographer and I would love for your family to come visit me in the studio as well! 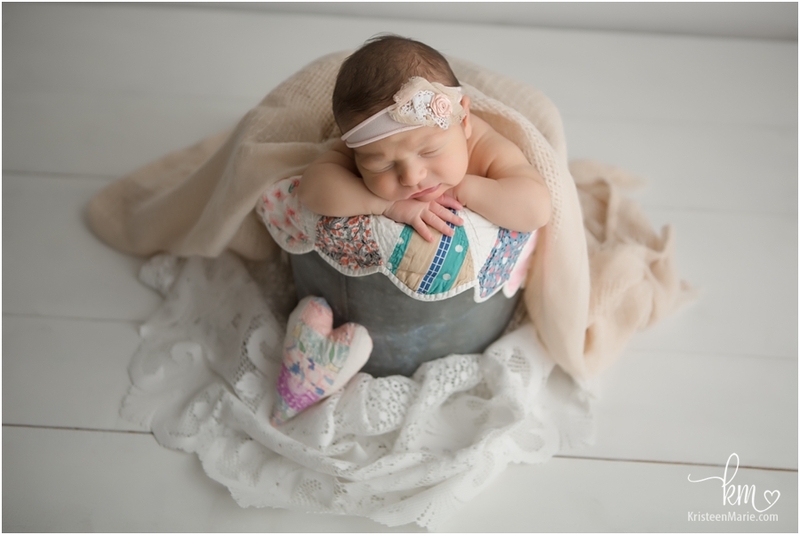 This sweet little girl is the result of a very sweet love of her parents! Her mom works at Connor Prairie and is a reinactor. 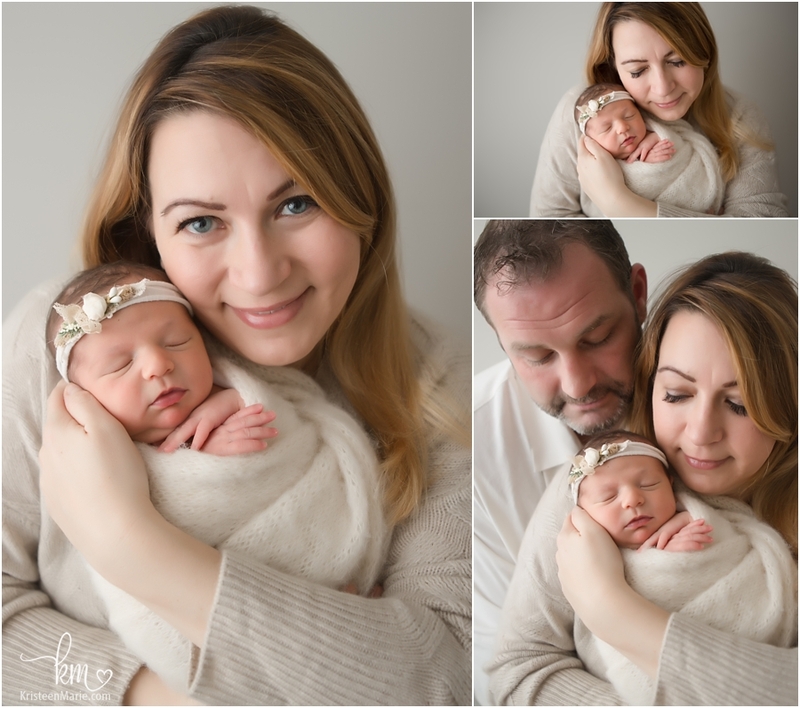 Her parents met when dad and mom saw each other for the first time at Connor Prairie when mom was in her full costume! 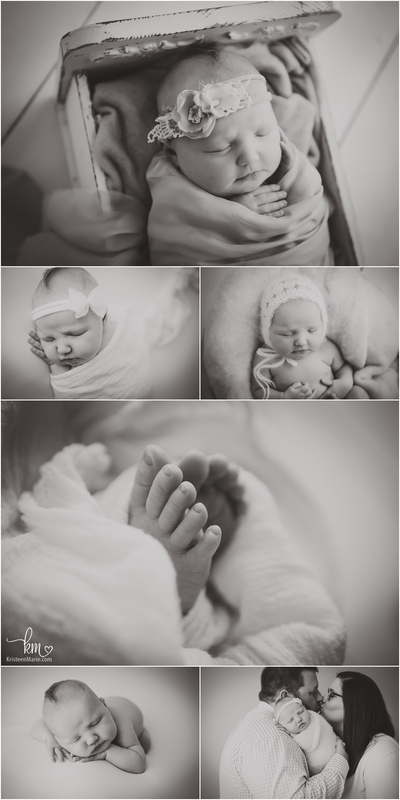 Sweet little Beatrice Ruth was born in mid September and is the light of her parents lives. There were so many beautiful props and special items that they brought to create special memories with Beatrice. 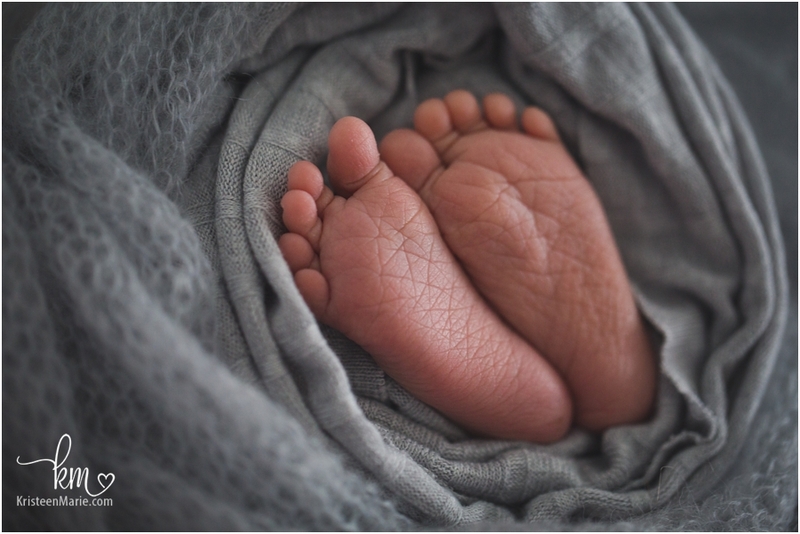 What is exciting is that going into delivery, her parents did not know her gender. So this sweet little girl was even more of a surprise! 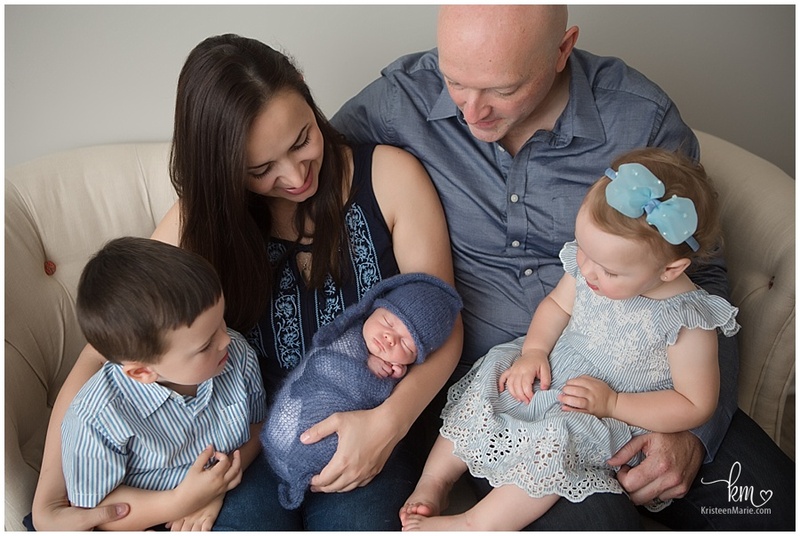 I just know that this cute family loves each other very much and I can’t wait to watch Beatrice grow over the next year! 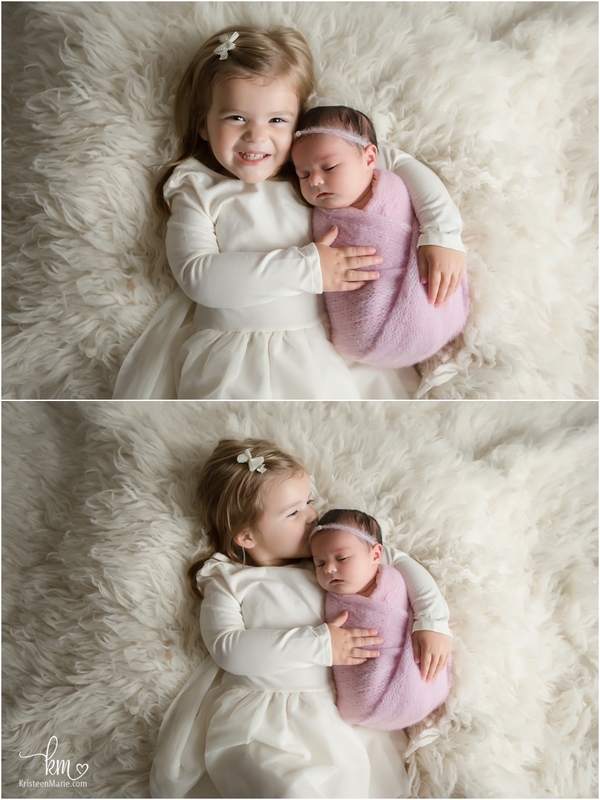 What a wonderful, snuggly session this was! 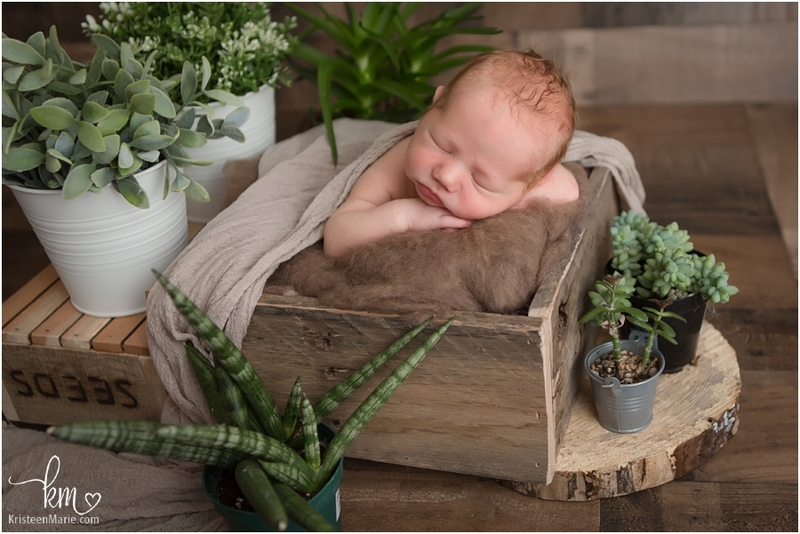 Newborn photography is one of my loves and I would love the opportunity to be able to capture this special time for your family to have memories and photos for a lifetime. 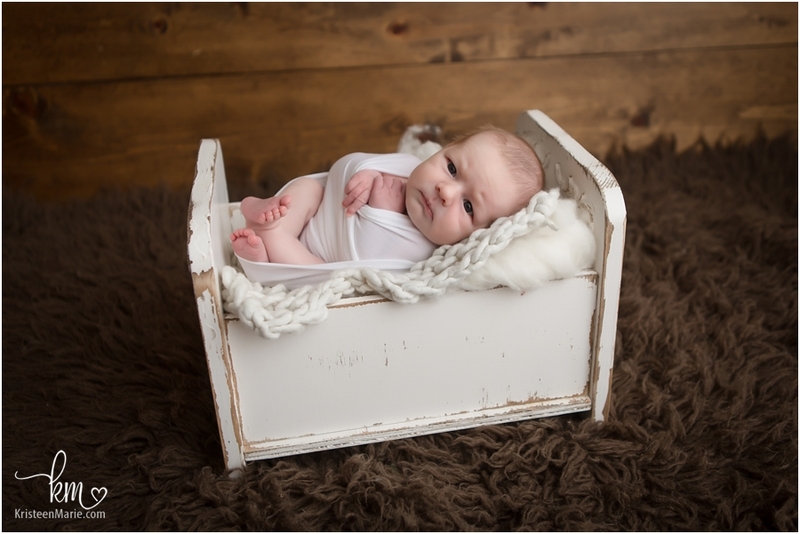 Let me know if you are looking for a Zionsville newborn photographer. 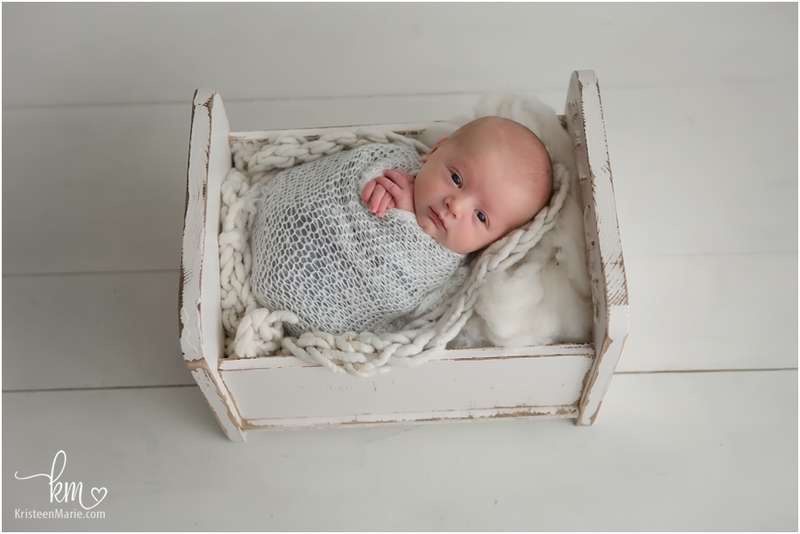 I would love the opportunity to capture your little one. 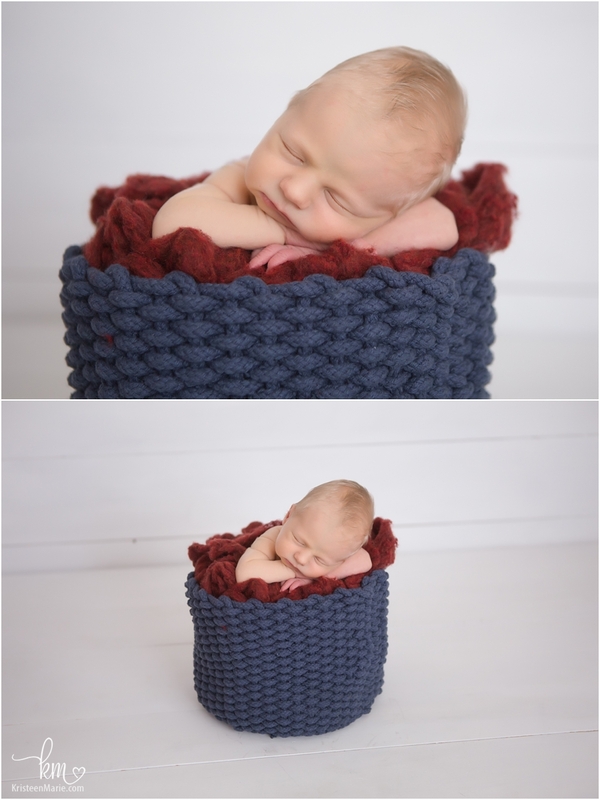 Adorable little Hayden made his entrance into the world on August 23rd! 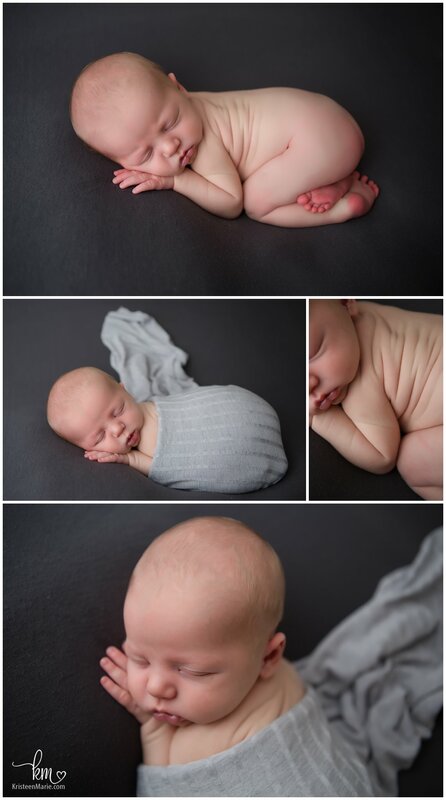 He is all kinds of perfect and he has some pretty fantastic back rolls (I made sure to include a close up of them!) 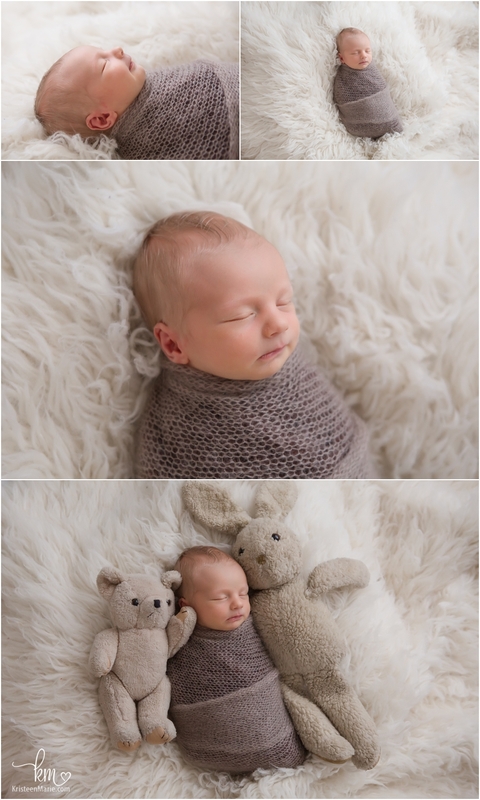 This cuddly little man was so good and sleepy during his session. 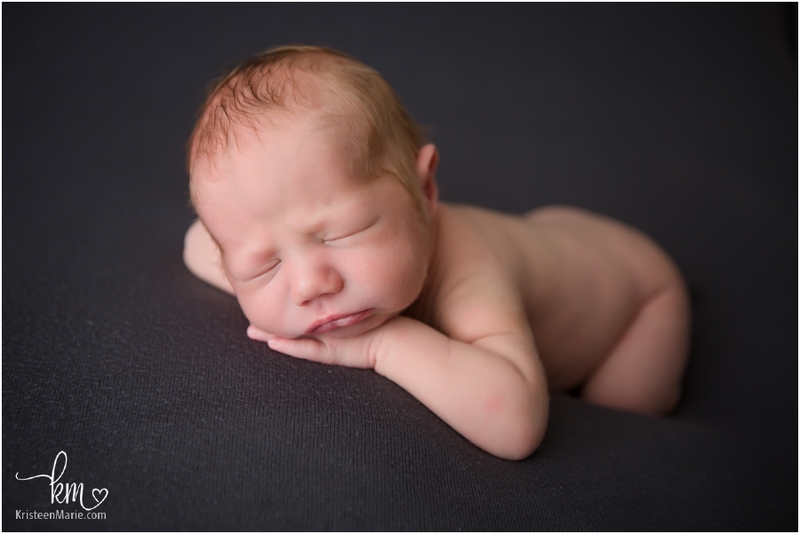 When he had his eyes open- he just melts your heart too! 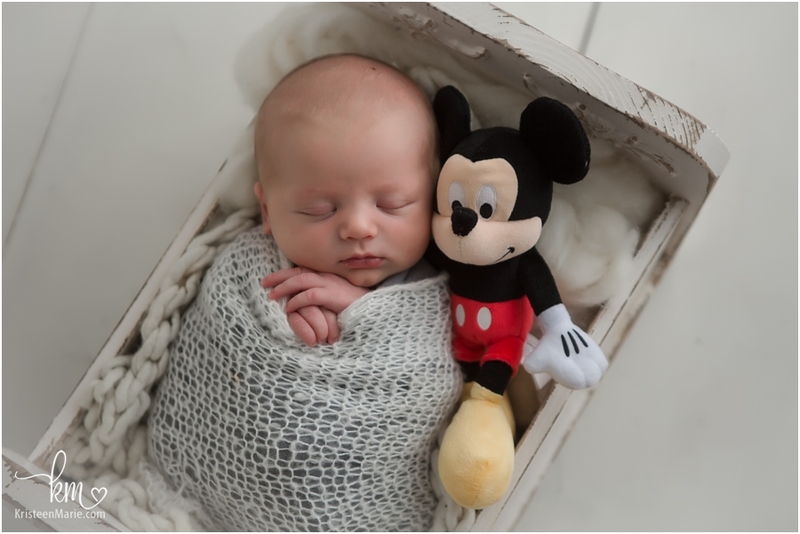 I love the picture of him all snuggled with Mickey Mouse. 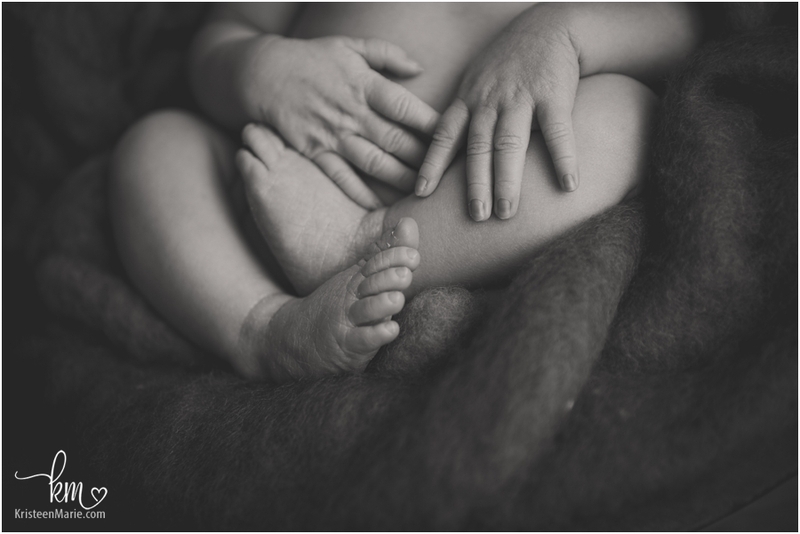 The pictures of his family in black and white turned out amazing! They all look like models. 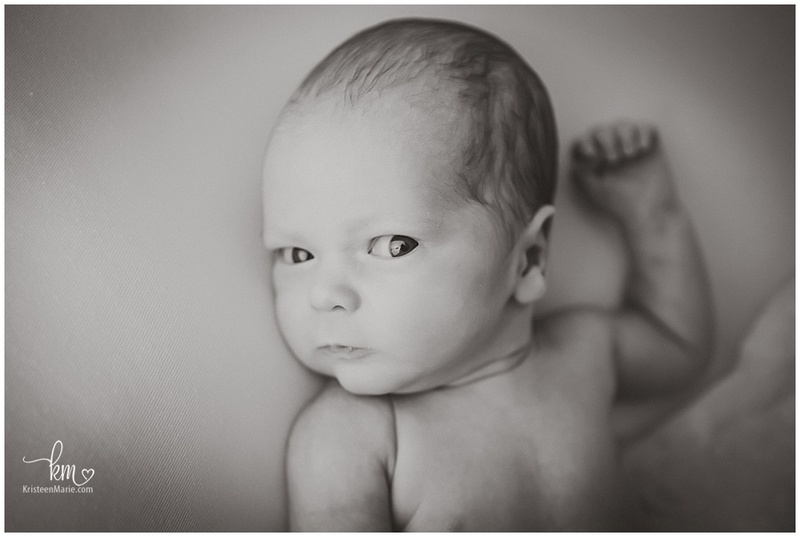 You may recognize this handsome little guy from his Fresh 48 session a few blog posts back too! 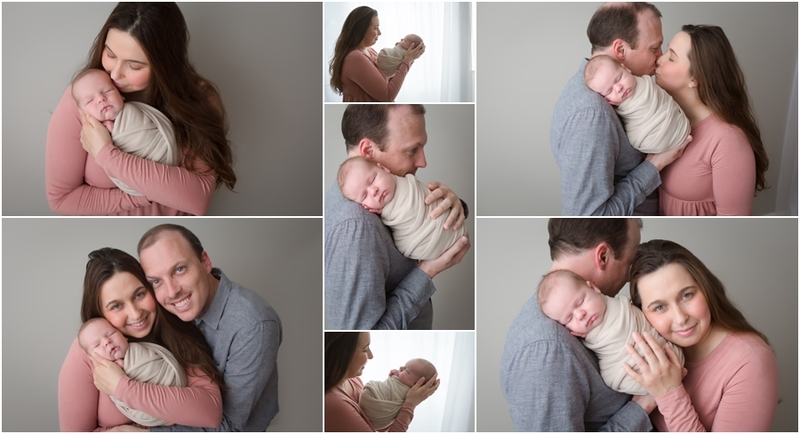 If you are expecting a new little person that is going to be joining your family, I would love to capture those moments! 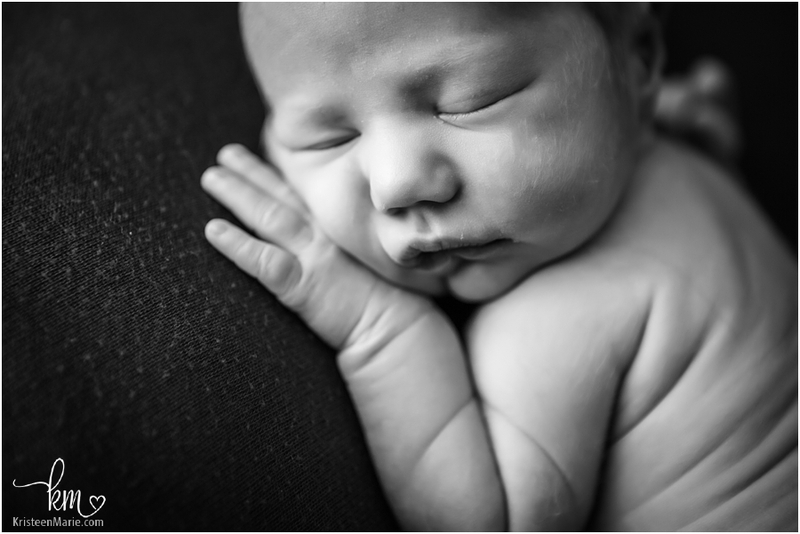 I offer Indianapolis birth photography, Fresh 48 sessions in Indy, and newborn photography in Indianapolis! Let’s get photos of everything that you will definitively cherish forever! 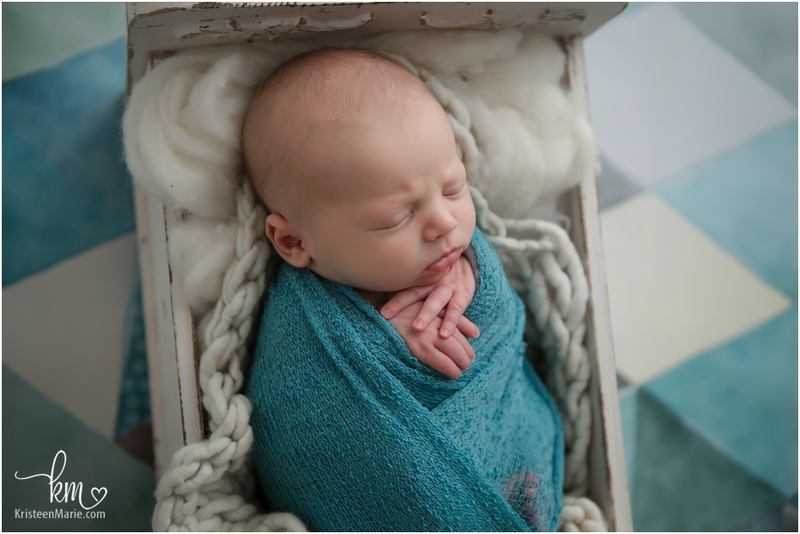 This beloved baby is the newest member of a family whom I have known for a long time. 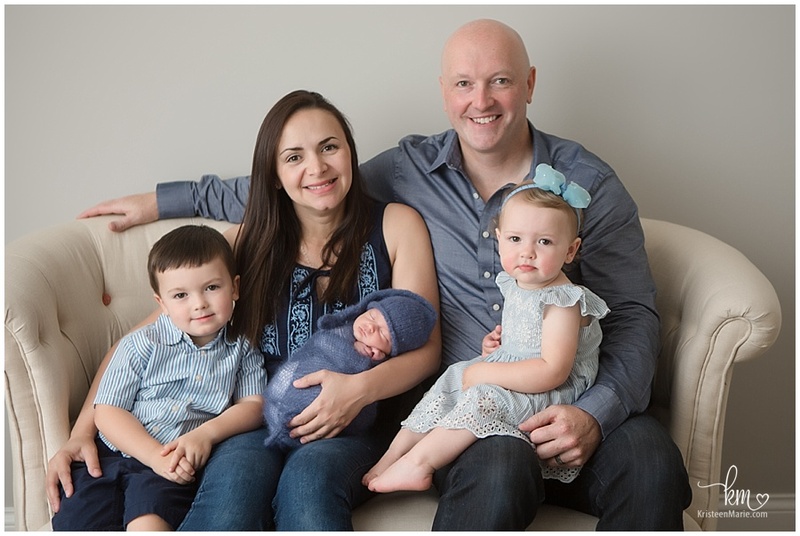 I have been photographing this family for years and I am so glad that they have added another one to the mix to join their two other adorable children! 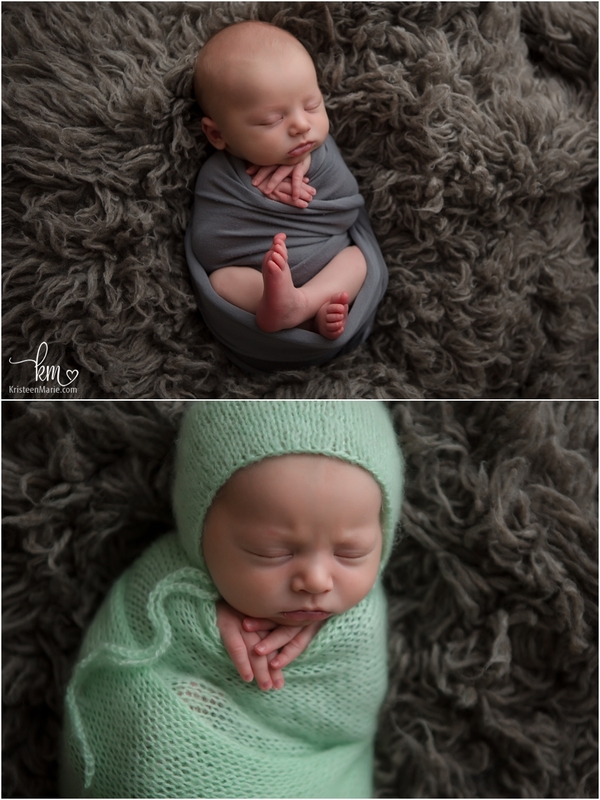 This little boy has two siblings whom you will see below and they were fantastic to have in the studio! 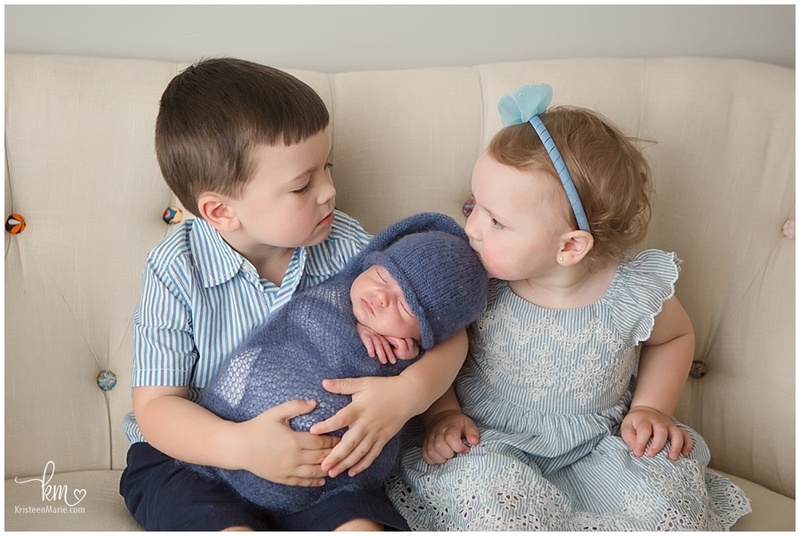 Three children- three and under and they are all so beautiful and let me tell you – his siblings just ADORE him! 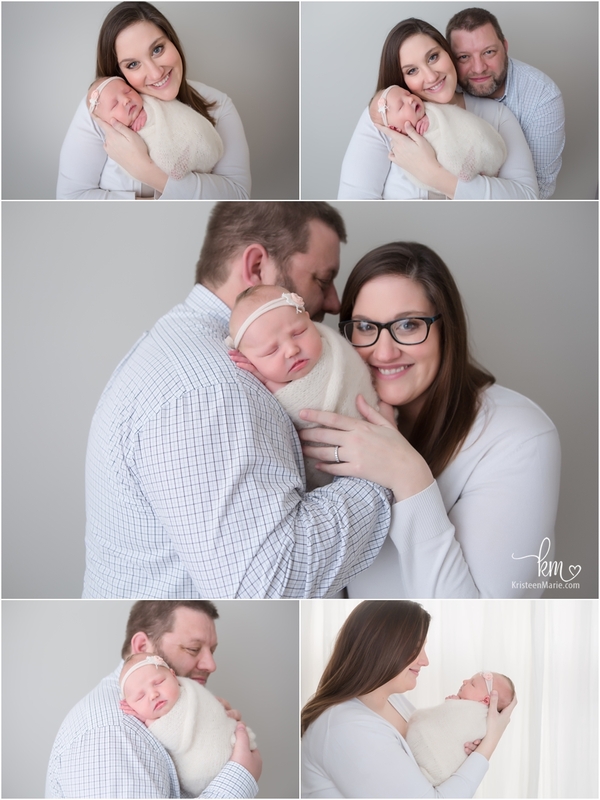 We were able to get a long of photos of just baby and then lots of the family all together! 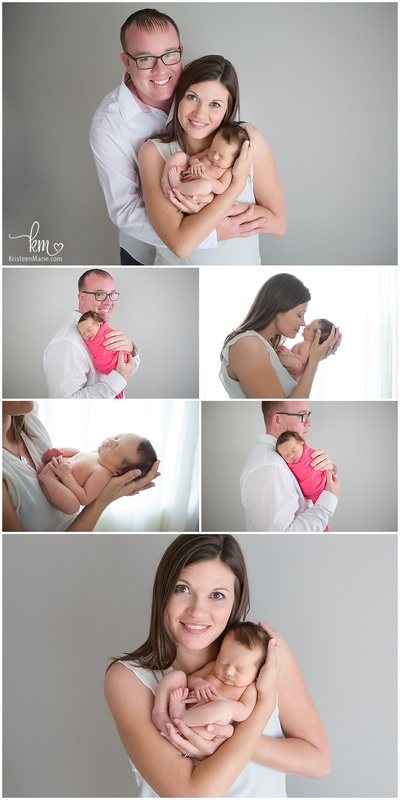 Make sure to check out the last photo in this post- baby’s eye contact is just incredible! I also just think the photo with the little giraffe, that matches his safari themed bedroom is just the most precious image! 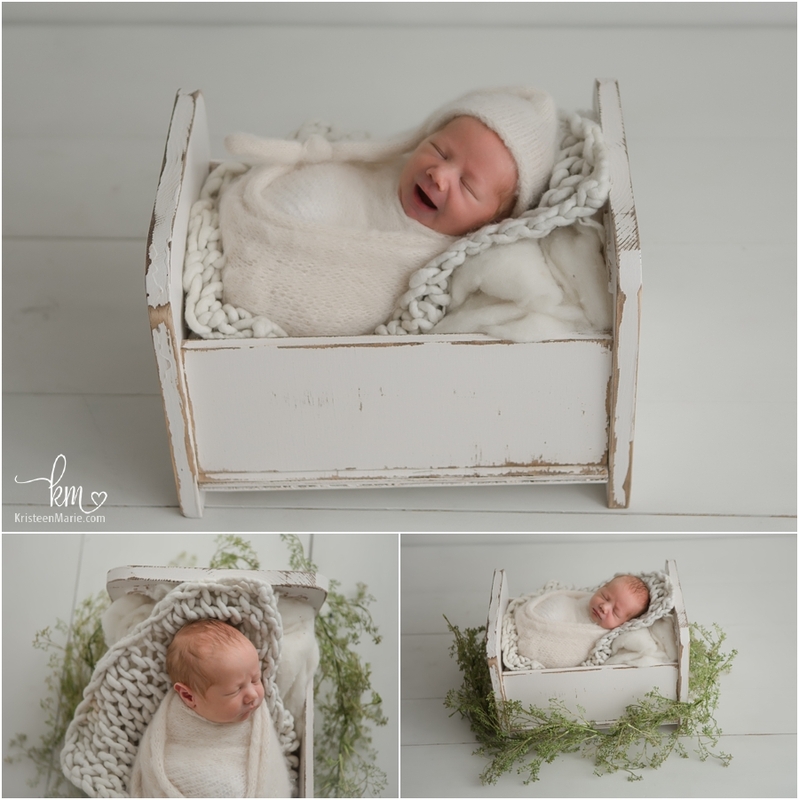 Being an Indianapolis newborn photographer is such a joy! 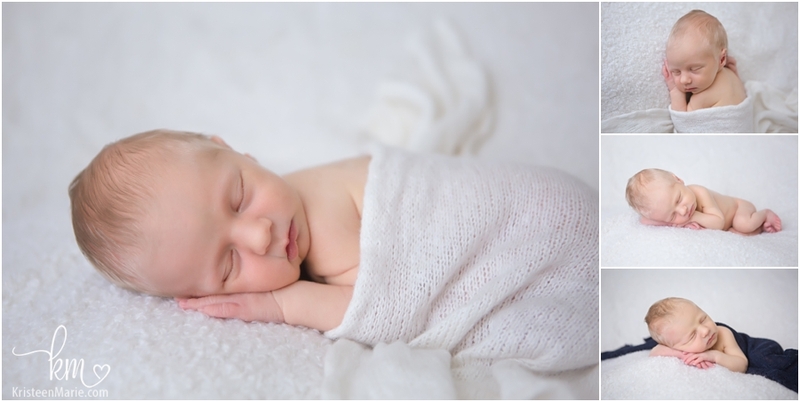 I would love to photograph your newborn baby when he/she arrives. 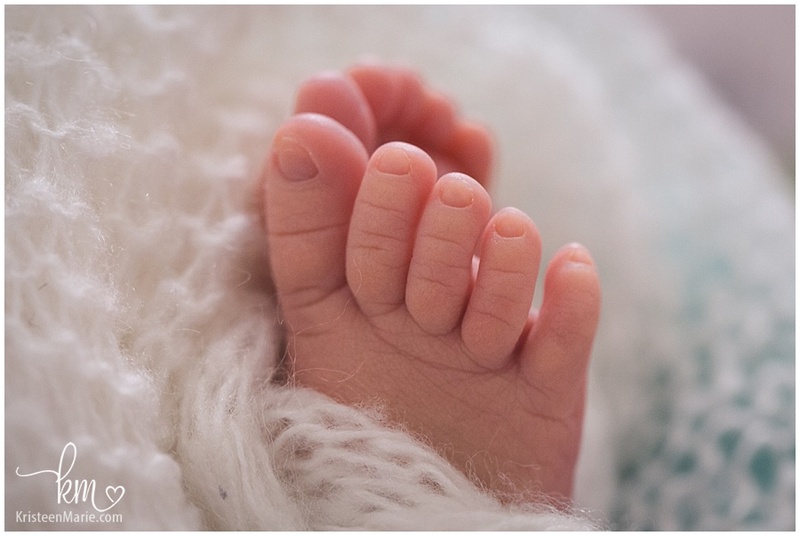 Please reach out and let me know if you are expecting a baby soon. 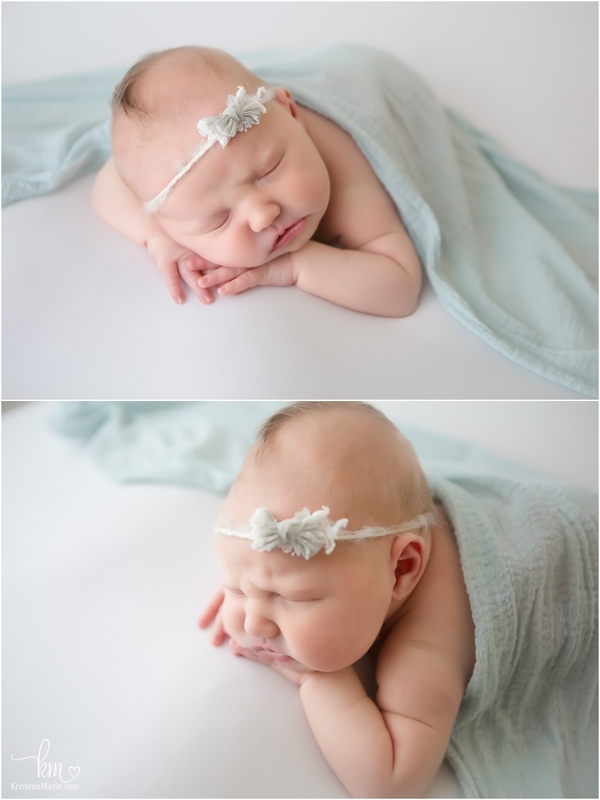 I would like to introduce you to Baby Rowan- she is just the sweetest little girl. 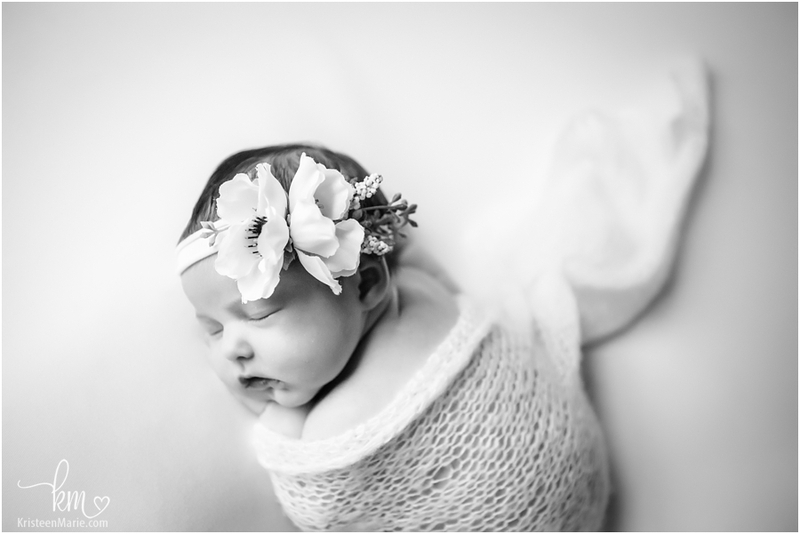 Rowan was born the day before Easter and she came into the studio with her parents for her newborn session. 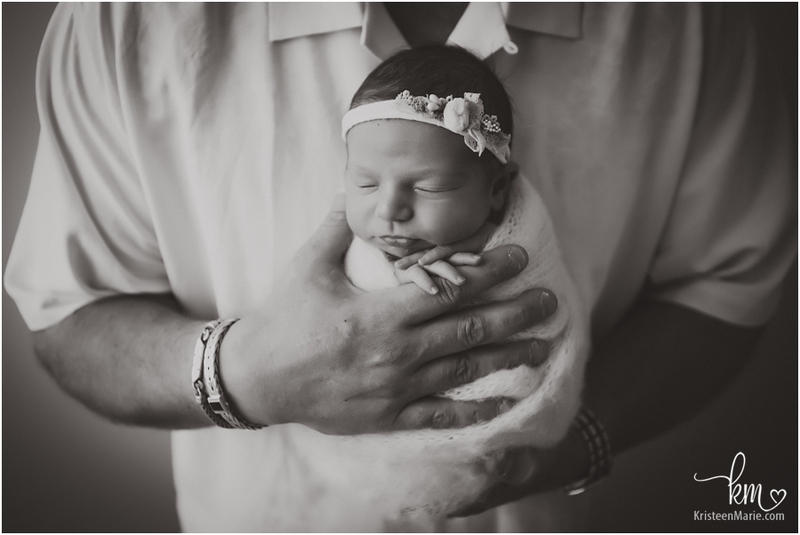 I was very excited to meet this little princess and I am even more excited to have the opportunity to watch her grow over the next year! 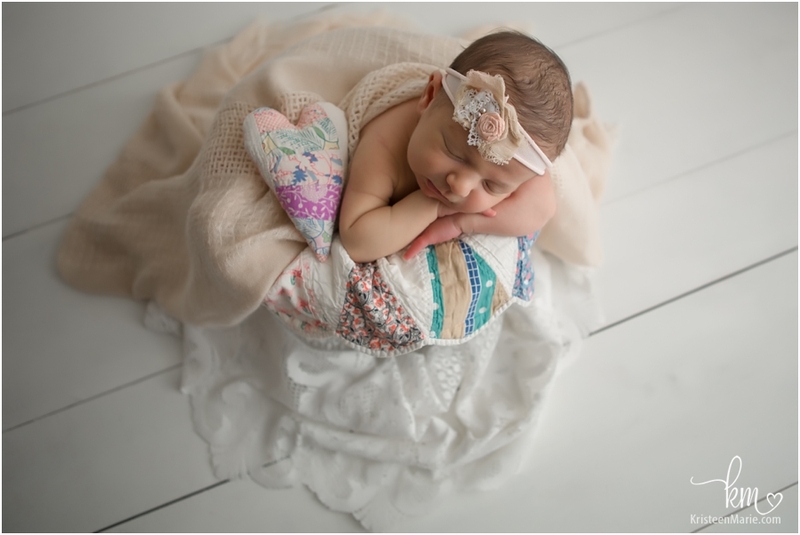 Her nursery is an enchanted forest theme and I am sure that it is just perfect for Princess Rowan. 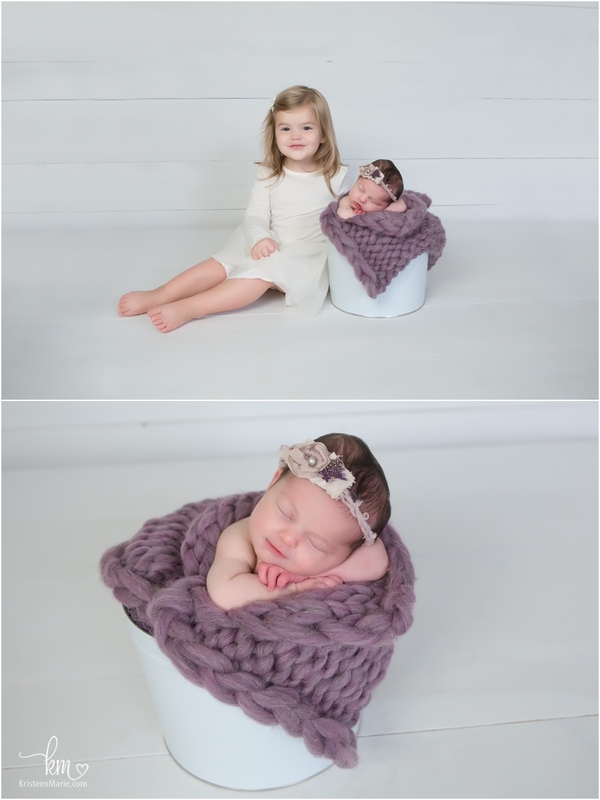 Be sure to check out the beautiful pictures below! 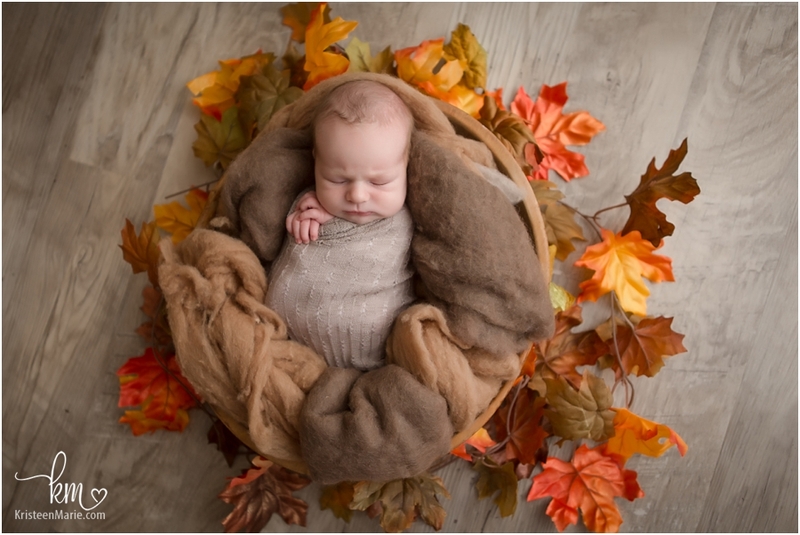 Let me know if you are in the market for a Zionsville newborn photographer. 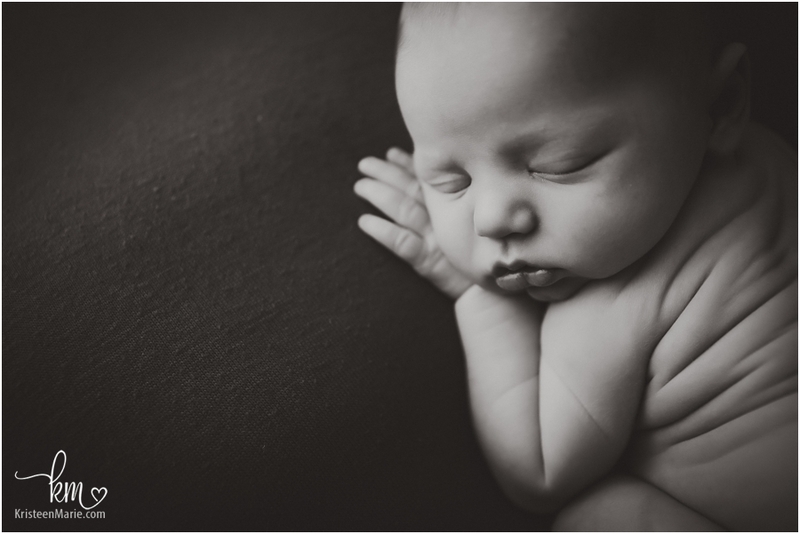 My studio is located in Zionsville and I would love to meet your new little baby once he/she arrives!! It’s best to get your due date on my calendar before baby gets here to ensure availability. 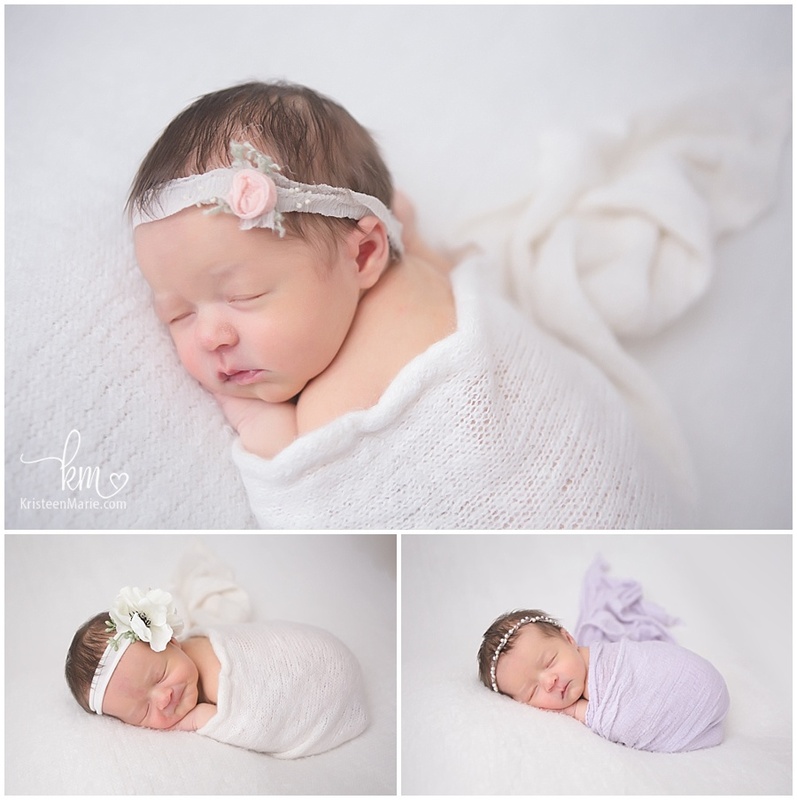 This sweet little bundle of joy is newborn baby Claire, and she is so adorable! She was super snuggly and sleepy and she made the cutest little faces. 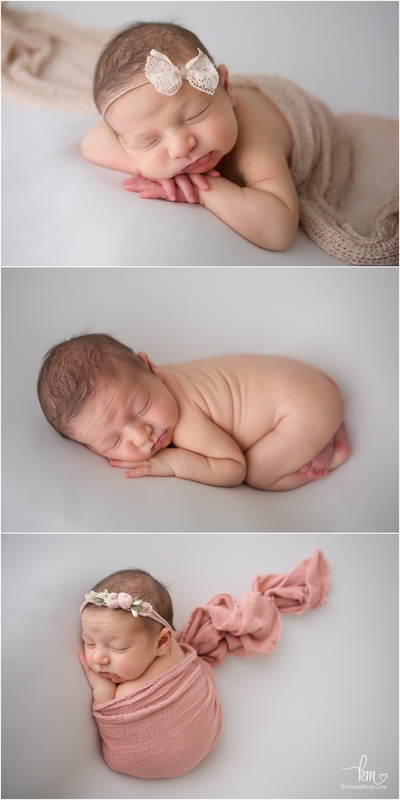 She has older brothers, so she is definitely going to be protected, loved, and adored! 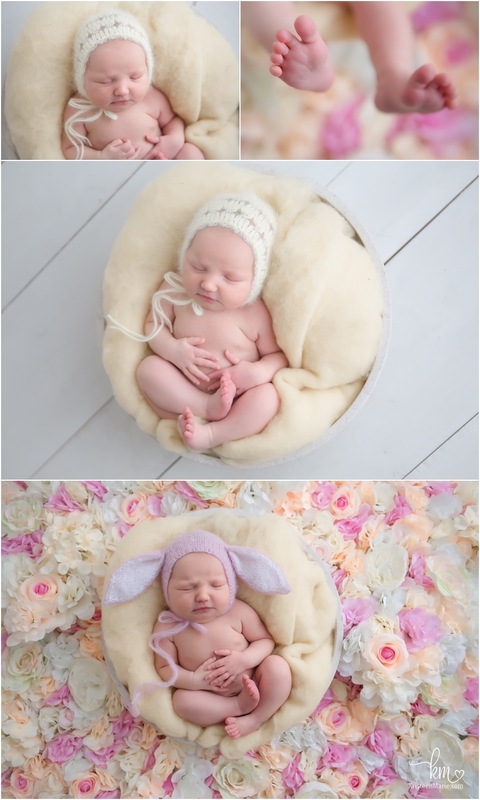 Check out her newborn pictures below, and look for the one with the bunny ears – TOO CUTE! 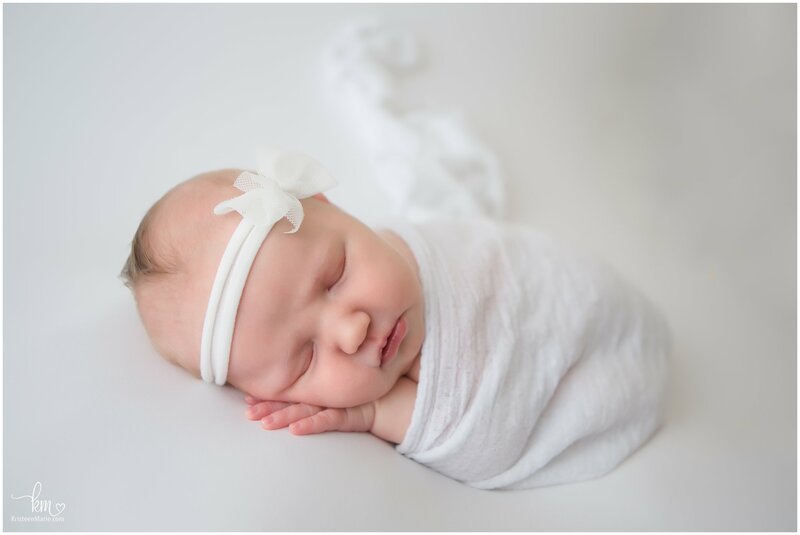 I can’t wait to watch you grow, little sweet baby Claire! 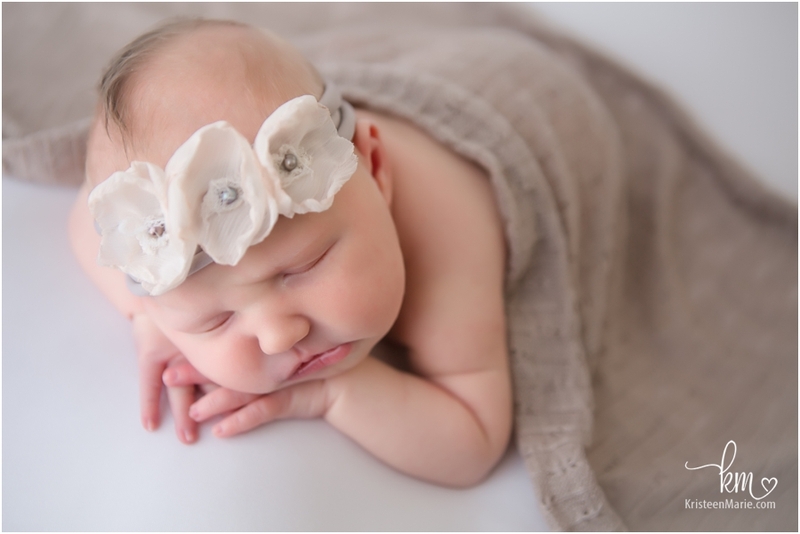 If you are looking for a Zionsville newborn photographer be sure to let me know. 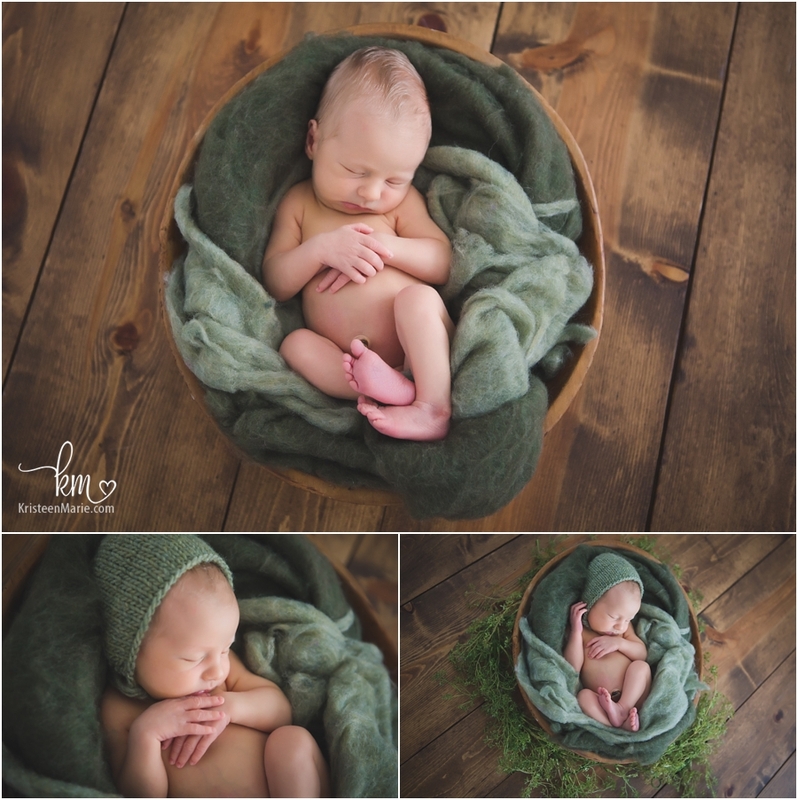 I would love to have you in my studio which is located in Zionsville, IN for a newborn session once your little baby arrives. 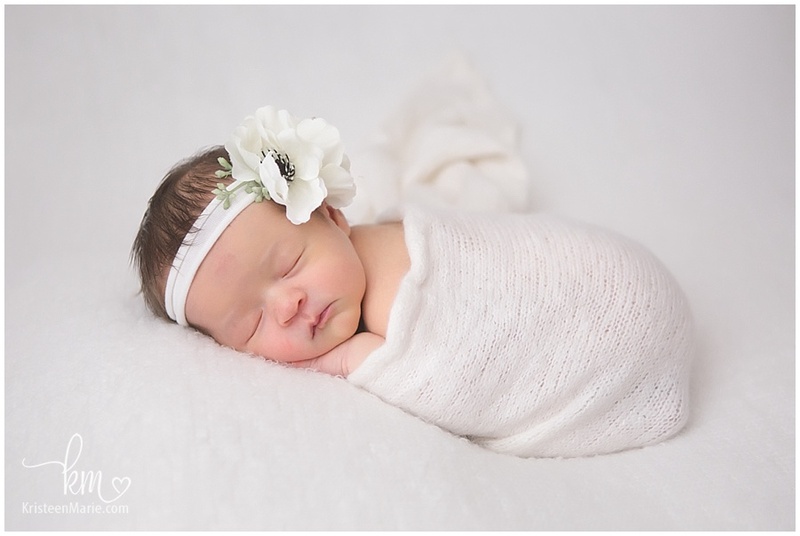 Meet baby Adalynn. 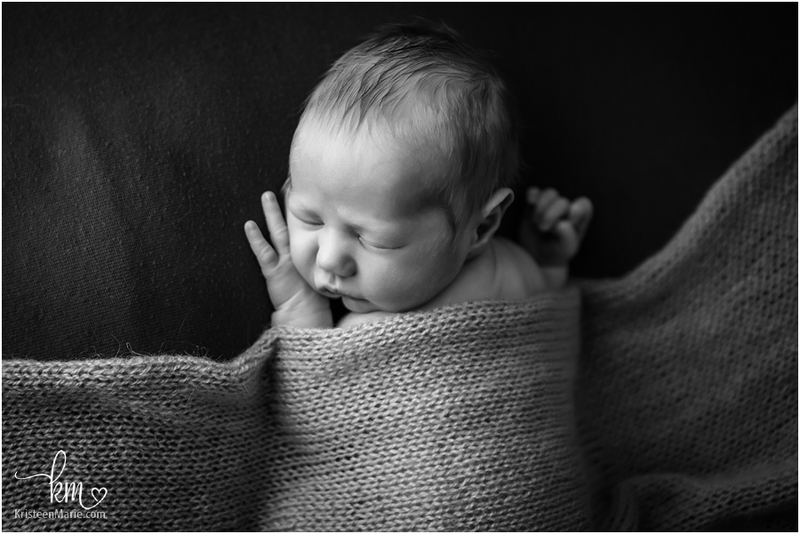 She was just a week old when she came to the studio. This sweet girl is so loved. It was so much fun watching Adalynn’s parents melt over their baby girl. 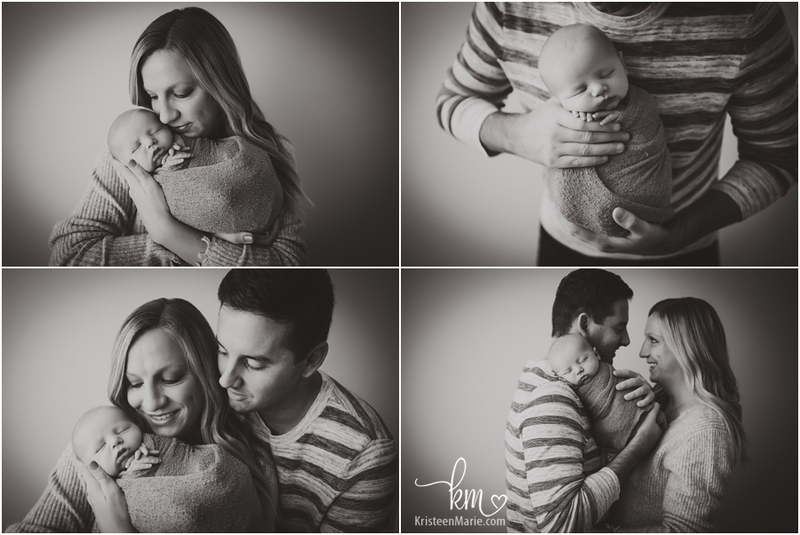 The whole family was a joy to have in the studio! Thanks for coming to visit me, baby girl! 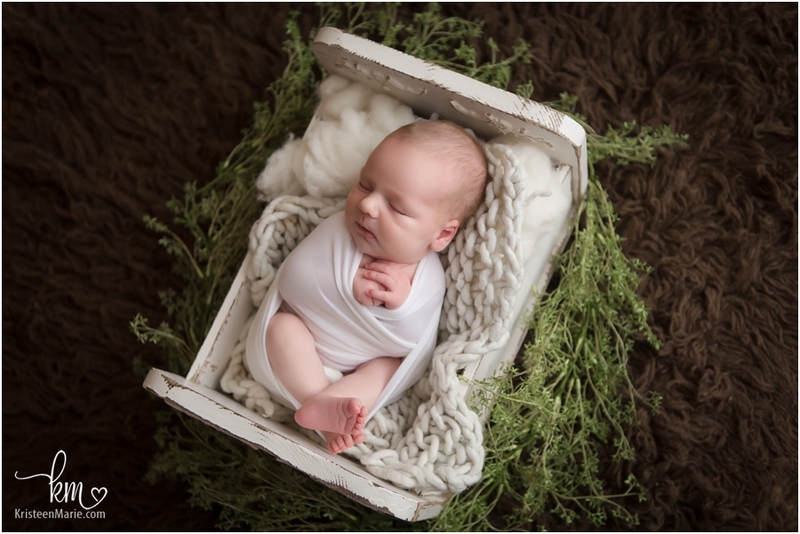 If you are looking for a Zionsville newborn photographer be sure to reach out and let me know. 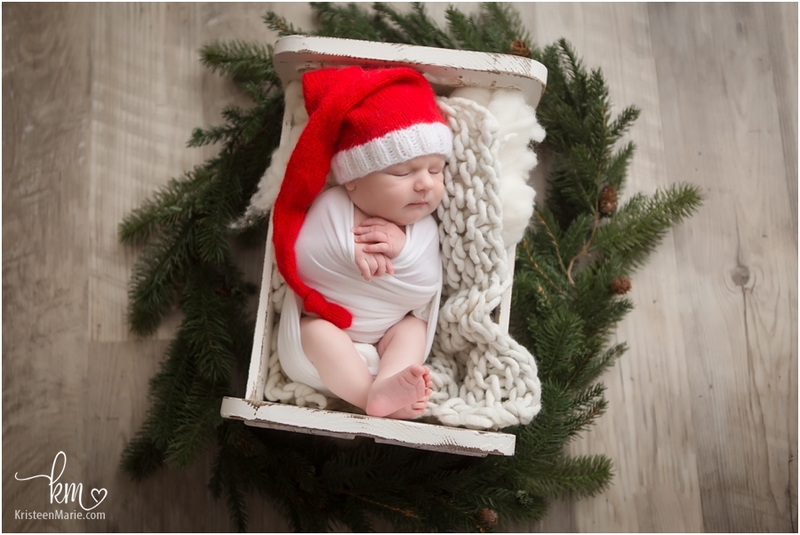 I would love to get your due date on my calendar! 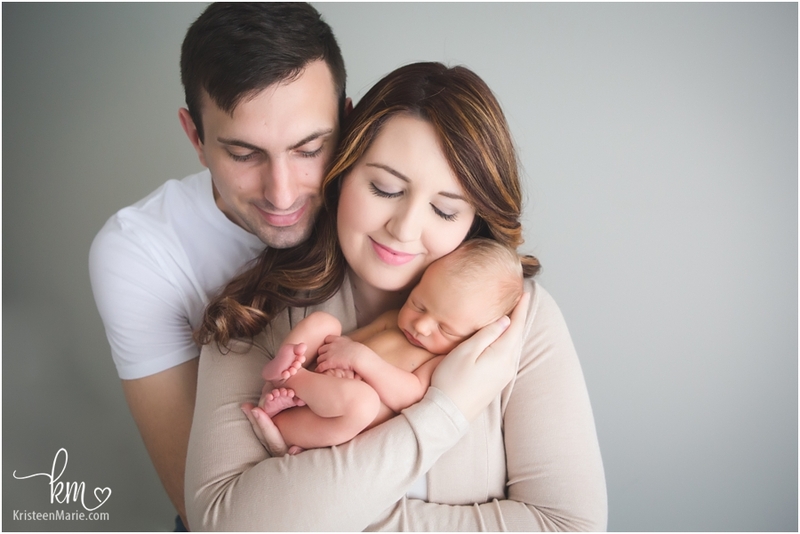 This is a beautiful family with an adorable little guy named Theodore. 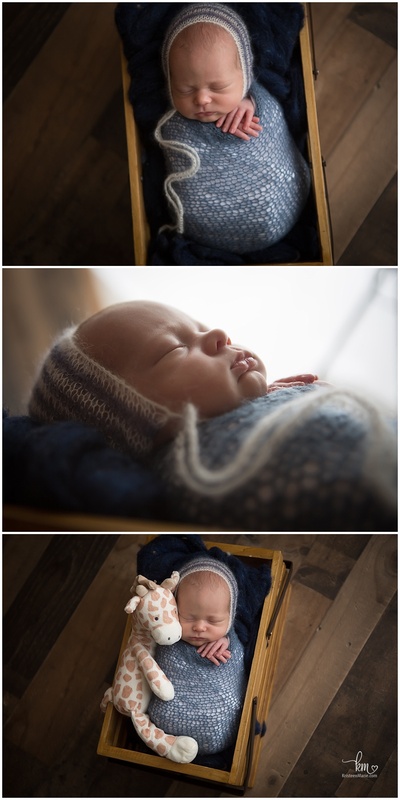 He slept so well for his newborn session. 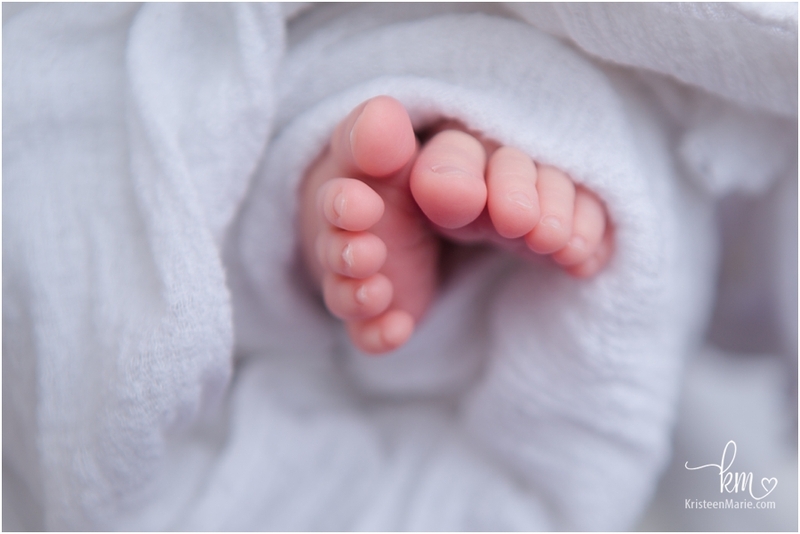 He had the most perfect little features too – sweet lips, soft blond hair, and a tiny little nose. You are going to want to scroll down to the last image. It’s my favorite of the bunch. It includes Mom’s childhood toy (right) and Dad’s (left) with their beautiful new baby in the middle. 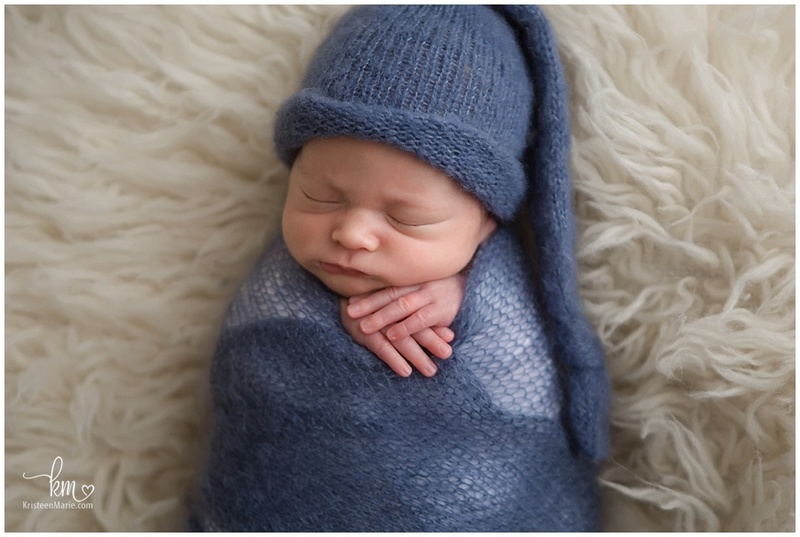 Welcome to the world little man. It was great to meet you! 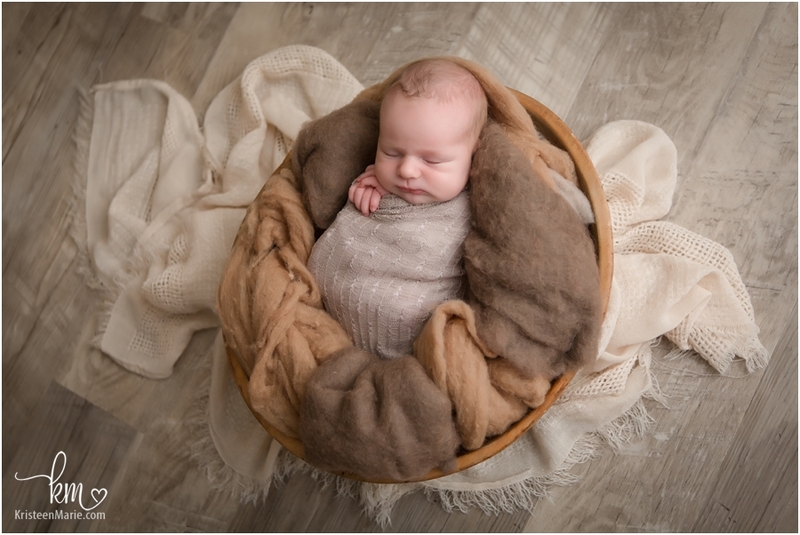 If you are looking for a Zionsville newborn photographer be sure to reach out and let me know! 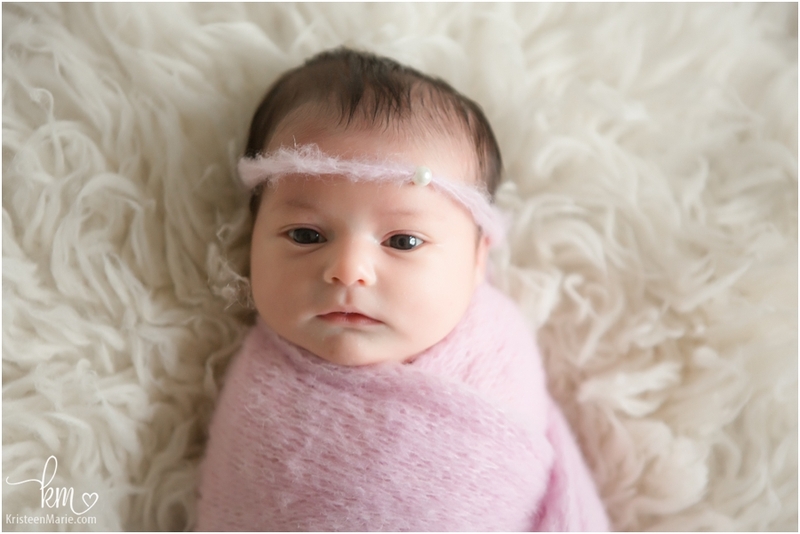 I would love to photograph your little one.